Judging by his perennially rumpled look, it's difficult to peg what sort personal car Chrysler-Fiat CEO Sergio Marchionne would go for. 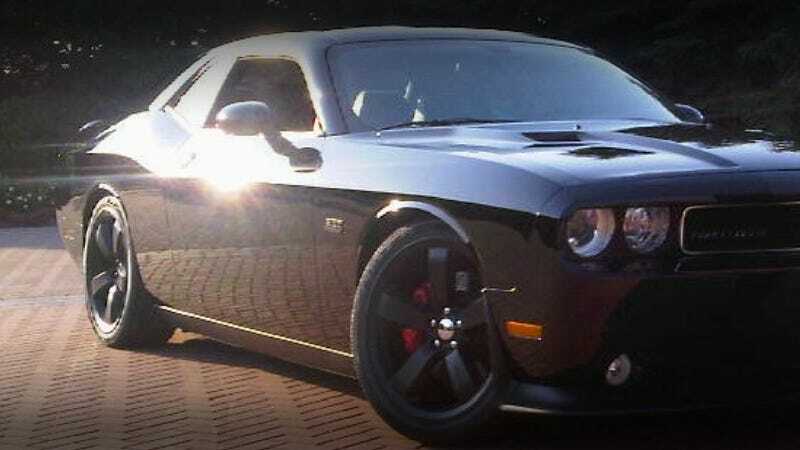 But SRT president and designer Ralph Gilles leaked via Twitter that Il Commendatore di Chrysler opts for a snarling SRT Challenger on weekends. We approve. Although his appearance suggests that he's a bureaucrat from one of the lesser known federal agencies mouldering in an obscure office park in Arlington, Va., Marchionne has all the attributes of an identity-changing comic book superhero: He can save falling apart car companies (we hope, for Chrysler's sake) in a single bound, he breathes cigarette smoke like a subterranean creature, and he drives an awesome car. Although we haven't yet seen his superhero suit, what you see could be it. It makes sense that someone who uses government money to save the day looks like a government worker.